One small business owner literally put his money where his mouth is. 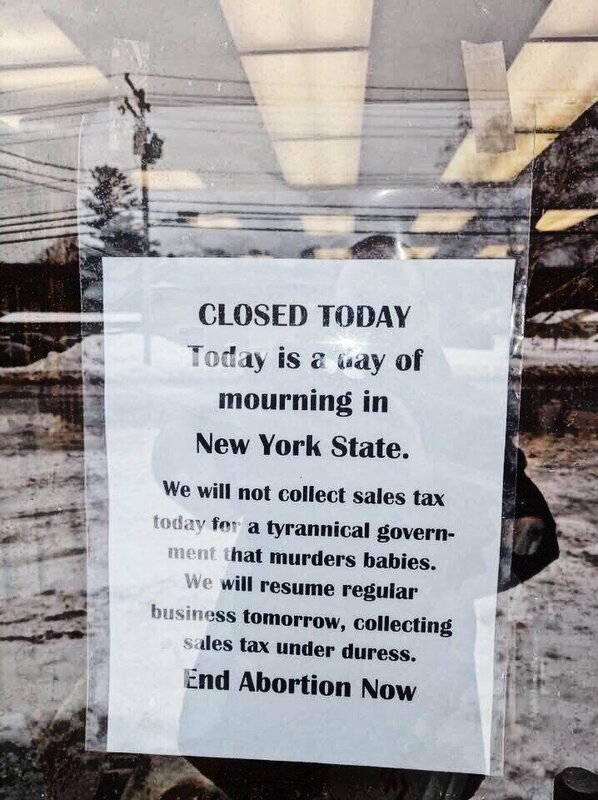 A bookstore owner in Syracuse, New York closed his store today rather than sell books and collect sales tax for the state of New York, which just approved a new law legalizing abortions up to birth. As LifeNews has extensively reported, New York Gov. Andrew Cuomo wasted no time signing a radical pro-abortion bill into law Tuesday. Just hours after the state Senate and Assembly passed it, Cuomo signed the bill, legalizing abortion for basically any reason up to birth in New York state.